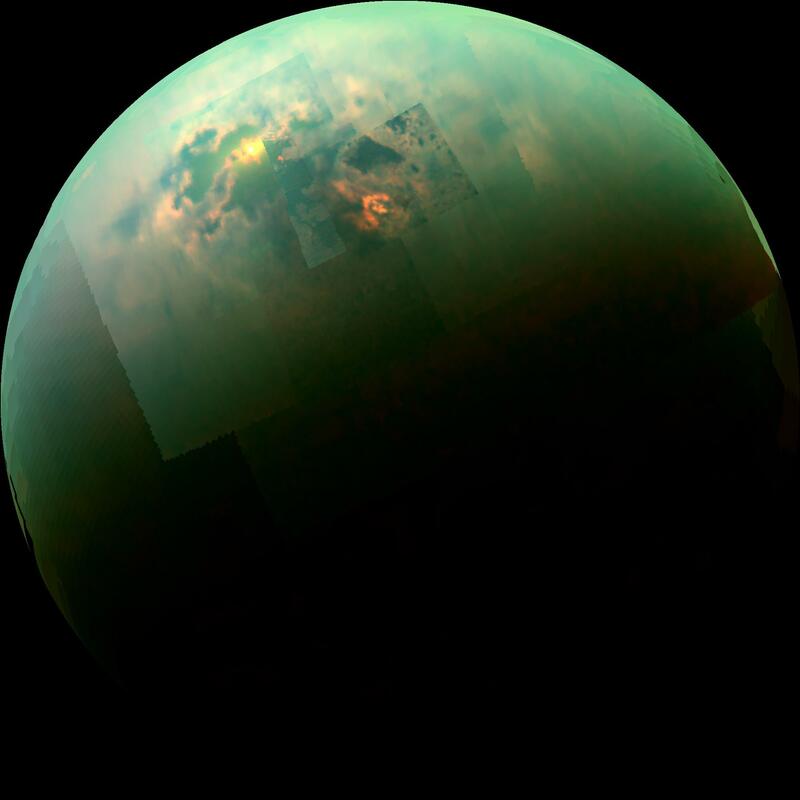 If you look carefully at this recent Cassini photo of Saturn's moon Titan, you can actually see the Sun's image shining off the surface of one of the many hydrocarbon seas on the surface of Titan (look at the bright spot in the 11 o'clock position in the photo). Billions of miles from Earth, our Lord's reflected glory can be seen in this alien world! This is such a beautiful reminder that He truly is the Sun of Righteousness, even to the farthest ends of the universe, and there is no place on Earth where His glory cannot penetrate. Amen!